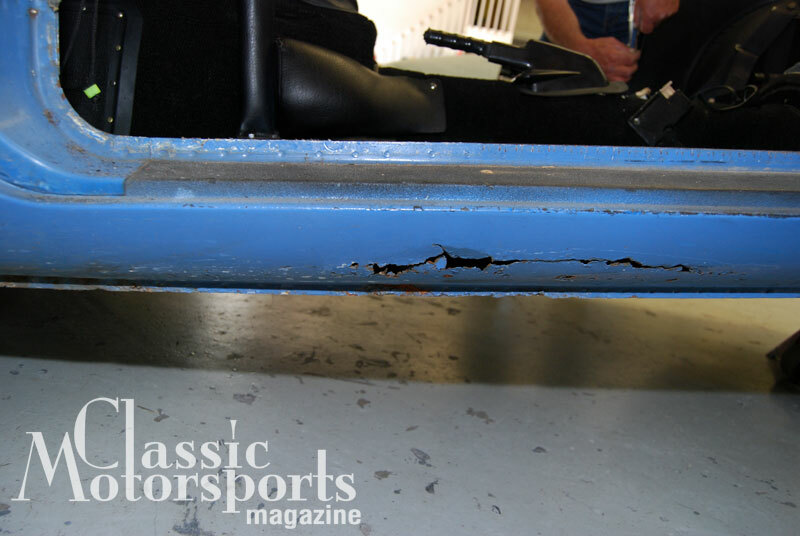 A rocker panel in this condition needs to go. Victoria British sells low-cost replacement pieces that fit perfectly. Luckily, our inner rocker panels were in good shape and didn’t need work. 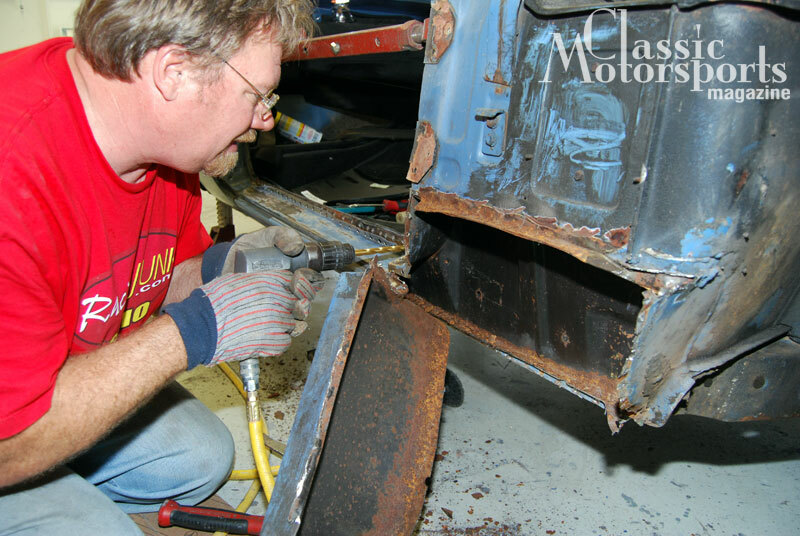 Classic Motorsports Publisher Tim Suddard drilled out old spot welds to remove the rusty rocker panel. 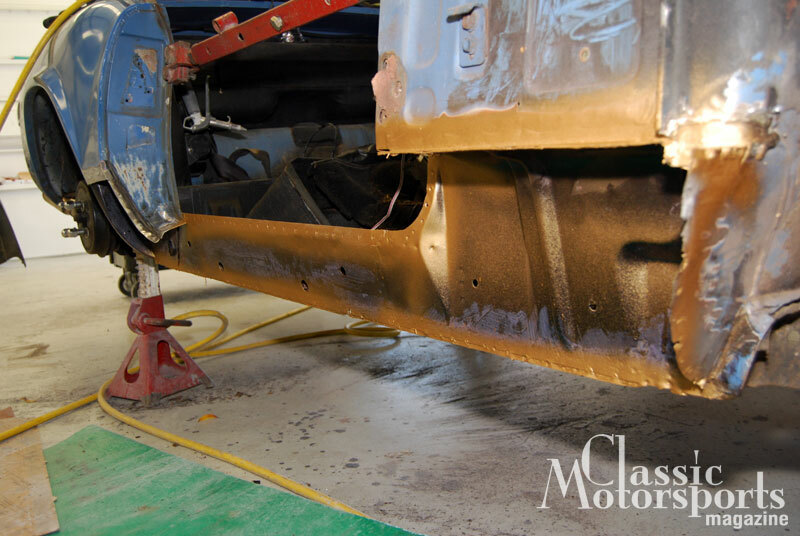 Once the old panels were removed, the affected areas were ground smooth, cleaned up and prepped with a weld-through coating. Notice the bracing in the door that prevents the body from moving during repair; this ensured that the door gaps would remain correct. The new rocker panel from Victoria British was clamped into place and then spot welded with a professional spot welding machine. This made the repair look just like new. We primed the finished repair. It currently awaits paint—like the rest of the car. With proper tools, this job (even if you're doing both sides) can easily be completed in a day. If you do it yourself, it'll cost well under $500. After completing some other projects and getting a bit of travel out of the way, we could finally turn our attention back to our little Spitfire. We have plans to paint the car, but first we had to install new rocker panels and quarter patch panels. We ordered the panels from Victoria British and got started with the help of our friends at The Body Werks in Holly Hill, Florida. Shop owner Tom Prescott is such a good teacher that his student, our now 17-year-old son, quickly caught on to the nuances of spot welding and grinding during this project. 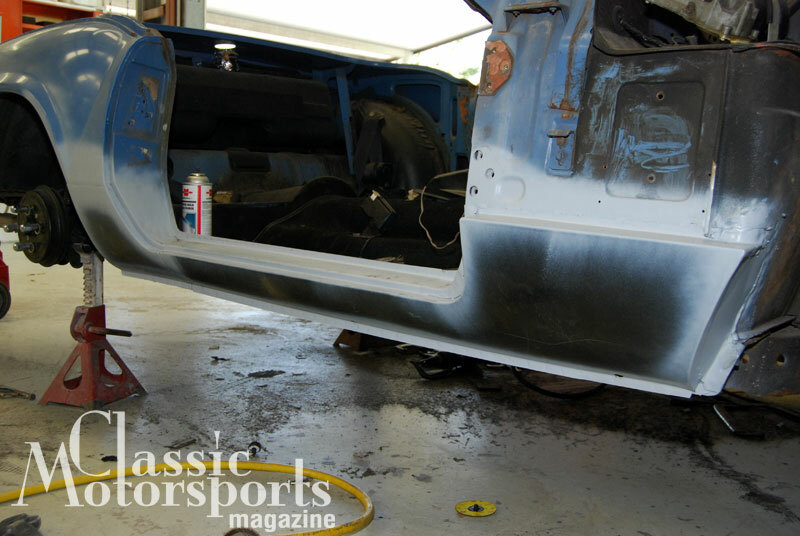 A step-by-step article covering the surgery will appear in Classic Motorsports shortly, but here are the highlights. Check back soon for additional Spitfire web updates.